Join At Home In Louisville Real Estate Group this Sunday July 31st for an open house at this beautiful 3 Bed, 3 Bath in Heritage Estates! 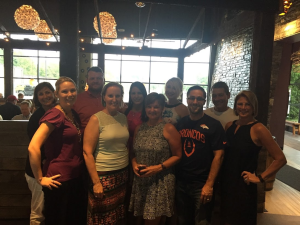 We would love to offer you a personal tour! Call 502-371-1173 for more information or visit with us this Sunday. 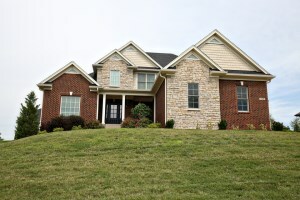 The At Home In Louisville Real Estate Group will be holding 6910 Catalpa Springs Dr open this Sunday! This beautiful home has 5 bedrooms and 3½ baths and offers plenty of space. Join us from 2-4 pm to take a personal tour! For more information about this home and other open houses in Louisville, call 502-371-1173. Directions: Gene Snyder Freeway to Beulah Church Rd North (Left) to East Manslick Rd, Turn Right on Pennsylvania Run Rd, Then Left into Subdivision. 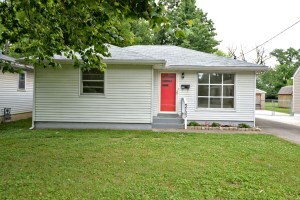 3760 Craig Ave Louisville Ky 40215 is a move in ready three Bedroom, one Full Bath Ranch. The home has a welcoming front porch entry. 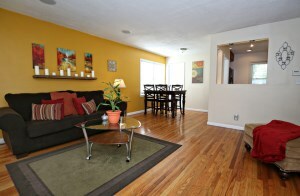 The Living Room features hardwood flooring that continues through most of the home and natural lighting. The home has a good sized Eat In Kitchen. 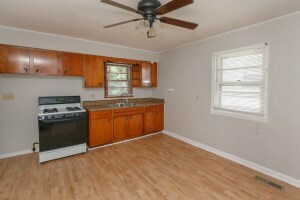 3760 Craig Ave Louisville Ky 40215 includes three Bedrooms and a Full Bath with tub/shower combo to complete the layout. There is a large grassy yard that is fully fenced and a back patio. The home also has a two and a half car detached garage that provides great storage space. Call 502-371-1173 for more information about this home in Louisville. 13408 Hampton Cir Goshen Ky 40026 is a beaufitul five Bedroom, four and a half Bath home in Longwood Estates. The home opens with an inviting Front Porch and Entry Foyer and leads to the gorgeous Living Room with a coffered ceiling, gas fireplace, and recessed lighting. The elegant Kitchen features granite counters, custom cabinetry, a double sink, tile backsplash, recessed lighting, breakfast bar, and a dining area that provides access to the back patio. The sunlit Formal Dining Room includes picture frame built ins and decorative wainscoting. The home has a lovely Master Bedroom with a coffered ceiling, large walk in closet, and a spa-like Master Bath with a double sink, Jacuzzi tub, and walk in tiled shower. The first floor is completed with a Study with a French door entry, Half Bath, and Laundry. 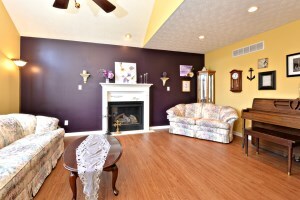 13408 Hampton Cir Goshen Ky 40026 has three spacious second level Bedrooms. Two Bedrooms, each with an individual vanity and closet, share a Jack and Jill bath and the third Bedroom has an attached Full Bath. The Basement features a Family Room, Bedroom, Full Bath, and a wonderful Media Room, and is ready for a full service bar. The home has a covered back patio with recessed lighting and a ceiling fan. Custom trim work in the home includes fluted door casings and decorative corner blocks in the baseboards. The home has furnaces (upper and lower level) and a three car attached garage, and it is in an ideal location close to schools, shopping, & dining. Call 502-371-1173 for more information about this home or to schedule a private showing. 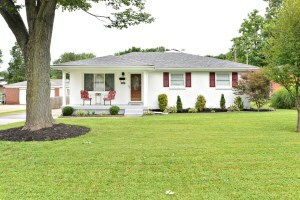 5206 Red Oak Ln Louisville Ky 40218 is a wonderfully updated three Bedroom, one and a half Bath Ranch! The home opens to the Living Room that features beautiful hardwood flooring and a lovely bay window that allows for plenty of natural lighting. 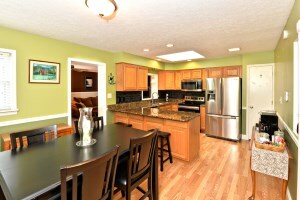 The Eat In Kitchen has recessed lighting, a pass through window to the Dining Area, and access to the back yard. 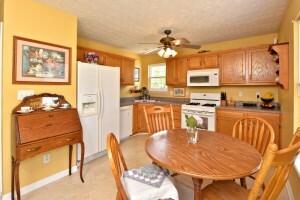 Hardwood flooring is also featured in the Dining Area. 5206 Red Oak Ln Louisville Ky 40218 includes three good sized Bedrooms, and the room that is being used as the Master Bedroom has been updated with a newer ceiling fan and crown molding with a light feature. The Full Bath has been remodeled this year with a new shower head, tub, custom cabinet, and ceramic tile floor and the home also has a Half Bath with hardwood flooring. The Laundry Room includes overhead shelving. The home has a large grassy yard with a full wood privacy fence and patio. Call 502-371-1173 today for your private showing of this home in Louisville! 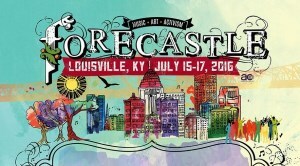 Attention music lovers: the Forecastle Festival is this weekend, July 15-17, 2016! Since 2002, the summer festival has been held annually at Louisville's Waterfront Park. The event brings thousands of fans to Louisville from across the country every year. 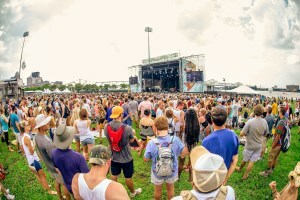 More than 60 bands and solo artists will be performing on four stages this year, and the headliners are The Avett Brothers, Alabama Shakes, and Ryan Adams. The Forecastle Festival is a great opportunity to discover new bands that you've never listened to before. In addition to the music, the Forecastle Festival celebrates the culture of Louisville through the promotion of local art as well as activities that focus on the local lifestyle, such as the Forecastle Derby and the Bourbon Lodge. With many vendors to choose from, the festival is a great place to try some new foods and drinks. There are several free water bottle refill stations and plenty of sitting areas and shady areas scattered across the Waterfront to help fans take a break and recharge from the heat. Daily passes for Forecastle are $69.50 and $199.50 VIP and weekend passes are $189.50 and $399.55 VIP. The festival will be from 3-11 pm Friday and 1-11 pm Saturday and Sunday. For more information, visit the Forecastle Festival website. Call 502-371-1173 for more information about events in Louisville or questions about Louisville Real Estate. 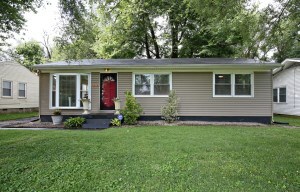 5407 Adkins Rd Louisville Ky 40219 is a lovely move in ready Ranch with two Bedrooms and one and a half Baths in Cheri Village! The home has a great front porch that provides excellent curb appeal. The porch opens to the Living Room that showcases neutral walls and recessed lighting. The home has a beautifully designed Eat In Kitchen featuring recessed lighting, a skylight, stainless appliances, a breakfast bar, lots of cabinet space, double sink, and a pass through window to the Family Room. The good sized Family Room is complete with a nice fireplace. 5407 Adkins Rd Louisville Ky 40219 features a spacious Master Bedroom that includes a walk in closet. Completing the floor plan are another Bedroom, a Full Bath, a Half Bath, an Office, and the Laundry Room. The home has a spacious grassy fenced in yard and a back patio. A long driveway leads to the two car detached garage that includes an attached shed for extra storage. The Heat and Air were updated in May 2015. 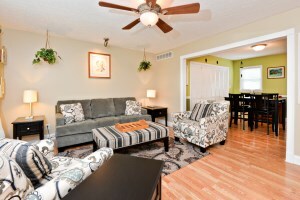 The location of the home is convenient to shopping, dining, and expressways. To schedule your showing of this home or for any questions about Louisville Real Estate, call 502-371-1173 today! 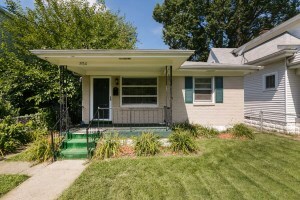 3703 Glengyle Ave Louisville Ky 40218 is a two Bedroom, one Bath Ranch that is a great purchase opportunity! 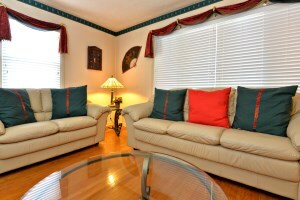 The home has great curb appeal and has been maintained very well. The home opens to the sunlit Living Room that features neutral walls and plush carpeting. 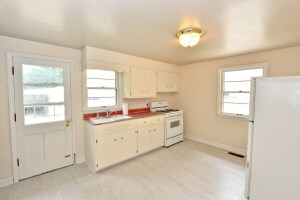 The Eat In Kitchen includes a double sink, dining area, and access to the back yard. 3703 Glengyle Ave Louisville Ky 40218 has two good sized Bedrooms that are located convenient to the Full Bath. The back of the home has a fully fenced grassy yard and a one car detached garage with a covered patio attached. The home is completely move in ready! Call 502-371-1173 today for your private showing of this home in Louisville. 11309 Sullivan Ct Louisville Ky 40229 is a wonderful three Bedroom, two Bath home that is located on a quiet cul-de-sac in Charleswood Forest! 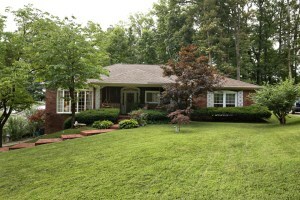 The landscaping of this home has been maintained well and the entry opens to a lovely Great Room with a vaulted ceiling, recessed lighting, new flooring installed in 2016, and a cozy fireplace. 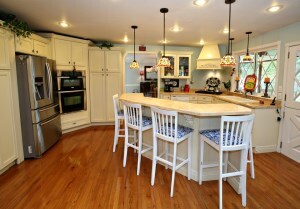 The Eat in Kitchen features a double sink an abundance of cabinet space. The Master Bedroom is conveniently located on the first floor and includes a nice walk in closet. A Full Bath completes the first level of the home. The second floor features two good sized Bedrooms and a second Full Bath. 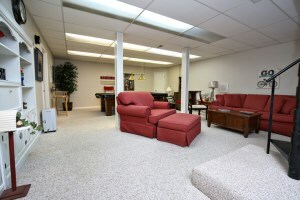 The unfinished Basement offers room for completion and additional living space or plenty of storage space. The basement area is currently being used as a Den and has been plumbed for a future third Bath. 11309 Sullivan Ct Louisville Ky 40229 has a great back yard that is fully fenced, a huge patio, and shed new in 2009 and is located in a sought after area! For your showing of this home in Louisville, call 502-371-1173 today! 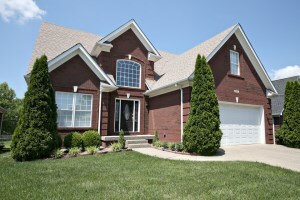 There will be five houses held open this Sunday by the At Home In Louisville Real Estate Group! Join us to see three of our newer listings at 11309 Sullivan Ct, 7304 Lora Dr, and 1202 Heritage Pl. Two other beautiful homes will be open - our 5 bedroom listing at 6910 Catalpa Springs Dr and our 4 bedroom listing at 9709 White Blossom Blvd. 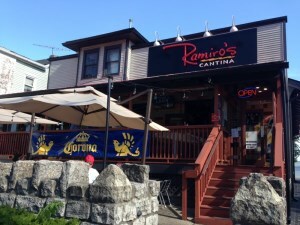 We would love to show you around! Call 502-371-1173 for questions about any of these homes or for more information about open houses in Louisville. Directions: Gene Snyder to Smyrna (South) to Cooper Chapel (West) to Charleswood Rd (Right), Then Left on Sullivan St, Then Left on Sullivan Ct. Directions: N Hurstbourne Parkway to White Blossom Blvd. 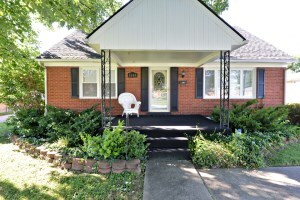 7304 Lora Dr Louisville Ky 40214 is a lovely four Bedroom, one Full Bath home in Merlyn Acres! The welcoming front porch opens to a great Living Room that has hardwood flooring and plenty of natural light. 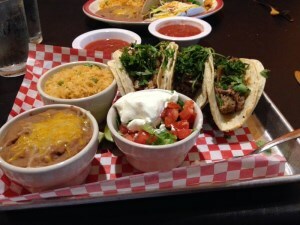 The good sized Eat In Kitchen features ample cabinetry and nice tile floor. The first floor of the home includes two Bedrooms that showcase nice hardwood floors with easy access to the Full Bath. The second floor of 7304 Lora Dr Louisville Ky 40214 has two additional good sized Bedrooms to round out this four bedroom home. The home has an unfinished Basement with great storage space or it can be a future completion. An oversized two car garage and a great yard are featured at the back of the home. For more information about this home or questions about Louisville Real Estate, call 502-371-1173! 1202 Heritage Pl Louisville Ky 40214 is a wonderful three Bedroom, three Bath home located in the Heritage Estates subdivision! The relaxing front porch opens to a welcoming Foyer and continues to the spacious Great Room featuring the raised hearth fireplace and stone surround. Elegant hardwood floors in the Great Room continue into the custom Kitchen that includes an island, double oven, gas range with a custom hood, deep country sink, and plenty of cabinet space. The lovely Formal Living Room features a decorative fireplace and crown molding that continues into the Formal Dining Room. 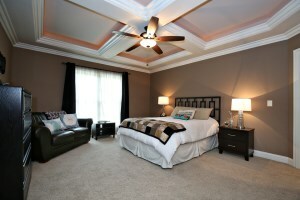 The large Master Bedroom has hardwood flooring and the Master Bath includes dual vanities. The first floor also includes another large Bedroom, Full Bath, and Laundry. The second floor of 1202 Heritage Pl Louisville Ky 40214 has a great 11x15 Loft as well as another Bedroom. The Finished Basement showcases a good sized Family Room, another Full Bath, a room currently being used as a Bedroom, and access to the 2+ car garage. The back of the home features a comfortable screened-in porch that offers plenty of space. 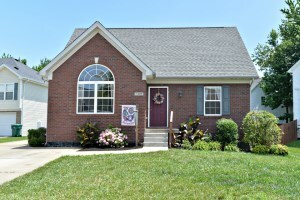 Call 502-371-1173 to schedule a showing to see this great home in Louisville!